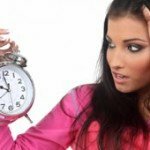 Comprehensive review of Million Dollar Tan Cabana Tan Extreme. See what real experts and actual users have to say about this self tanning product. 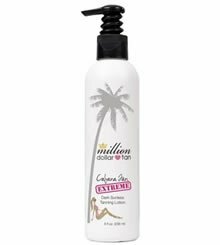 Overall, I gave Million Dollar Tan Cabana Tan Extreme 3.25 out of 5 stars. I liked this one better than their original Cabana Tan because the color is deeper. It’s tough to find self tanners that give me a dark color, and this one did the trick. The color was very natural and smooth, and it looked like I had been in the sun for a few days. One downside to this product was the scent. It smelled like cardboard and there was no attempt to cover up the smell with fragrance or perfume. Another downside is the lotion takes forever to blend into your skin! I remember I had the same problem with their original formula. I literally had to rub my body for 5-10 minutes before all the white had blended in. This one is $6.50 per ounce which is on the pricier side, but I’ve definitely seen worse. Overall, this was a good product if you’re looking for a dark tan, but it does have a few drawbacks. Million Dollar Tan Cabana Tan Extreme comes out as a white lotion. The lotion is very slick and smooth feeling. The consistency is a bit gel like. There’s no guide in this one. Application is pretty easy but there was one thing I really didn’t like. This one took forever to blend into my skin! My legs were literally white for a few minutes while I kept rubbing and rubbing to try and blend the product in. I finally just let the product sit on my legs for 2 minutes to soak up some of the product and then continued to blend it in. I’ve never seen a product take so long to blend into my skin. The good news is you don’t have to deal with a dark, messy guide getting all over. I’d suggest using a tanning mitt when applying this one as it’s pretty dark. This lotion dried in about 30-35 minutes. That’s just a little longer than average. I felt a little sticky while waiting for it to dry, but it wasn’t horrible. The smell is really bad. There’s not really any hint of perfume or fragrance, it just smells like straight cardboard. I didn’t like the smell at all. I even woke up in the middle of the night and smelled the gross scent! 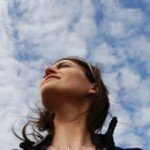 I couldn’t smell anything at all the next morning when I woke up (thankfully!). Million Dollar Tan Cabana Tan Extreme produced a very nice color. It was a deep tan that looked super natural. I liked how dark this one got me, it was a true dark shade. It’s hard to find self tanners that get me as dark as I’d like, and this one did a good job. The color was very even and it looked like I spent a few days in the sun. The color produced is definitely the best part about this product! This one lasted about 4-5 days. I was happy with how long this one lasted, but as it faded my tan became very scaly. It looked like I had super dry skin as this one faded away. I think men will like this one if they’re looking to get a dark tan. They’d have to get past the smell and annoying application, but if they can do that than I think they’ll really like the color this one gives. $6.50 per ounce is a little but pricier than most, but it’s not outrageous. I’d say for the color you get it’s worth it to spend a bit more. The bottle is 4 ounces and sells for $26.00. To buy Million Dollar Tan Cabana Tan Extreme , Click Here. Look and Feel Slick, white lotion. Application It takes a long time for the product to blend into your skin, other than that it’s easy. Drying Time It took about 30-35 minutes to completely dry. Smell (Before) Smells like cardboard, I hated the smell. Smell (After) There was no cardboard or DHA smell the next morning. Color Produced It produces a deep, natural tan. I really liked the color. How Long It Lasts Lasted about 4-5 days, as it faded it became scaly. OK For Men? Yes, if men like being pretty dark I think they’ll like this one! Price $6.50 an ounce is more than average, but it’s not outrageous.